If you have been blessed with a fortune but have no idea how to employ it, then this is the place you were meant to be in! 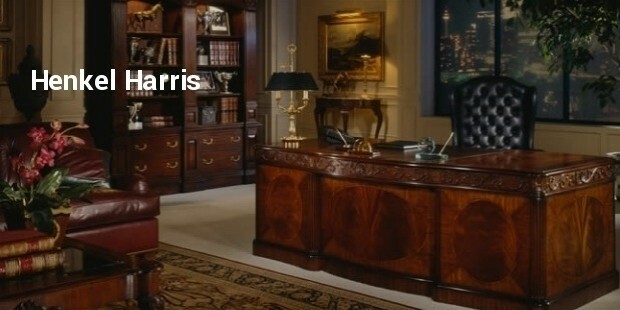 We are sure you are not keen on being the guy who possesses mansion but just about has some good furniture. We have come up with a solution for you. 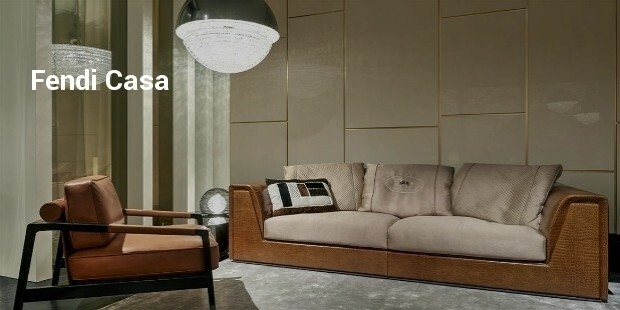 We have compiled a list of the most luxurious and expensive furniture around the globe. 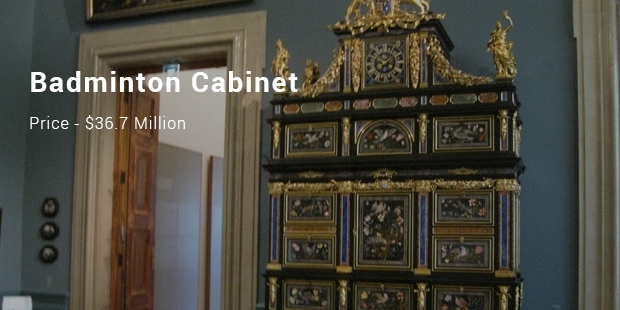 The list begins with a badminton cabinet worth $36.7 million. Yes, you heard it right. To amaze yourself furthermore, I suggest that you immediately scroll down and treat yourself with this catalogue. This Badminton Cabinet tops the list. It was custom-built by Henry Somerset, who was the 3rd Duke of Beaufort, at the age of 19 years. It involved thirty specialists to craftthis beautiful chest. It is titled after the Duke’s, Badminton House. It was sold out in the late 20th century. 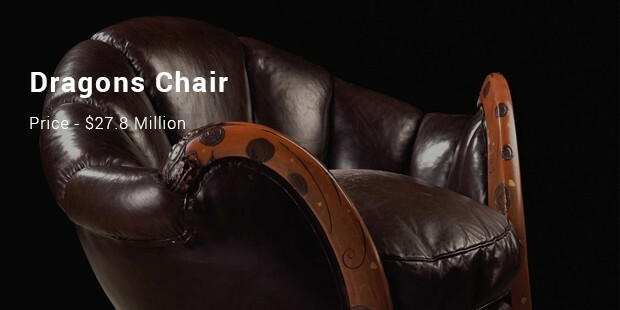 This $27.8 million worth armchair was possessed by an art dealer from Paris. Later it fell into Yves Saint Laurent’s hands. Allegedly, the same Paris-based art dealer paid ten times the value of the armchair to acquire it at an auction at Christie’s. It is dubbed as the “Dragon’s Chair”. This Tufft Table, is known as the Tuft table, after its designer, Thomas Tufft. It was hand-made for general stock owner Richard Edwards of New Jersey. 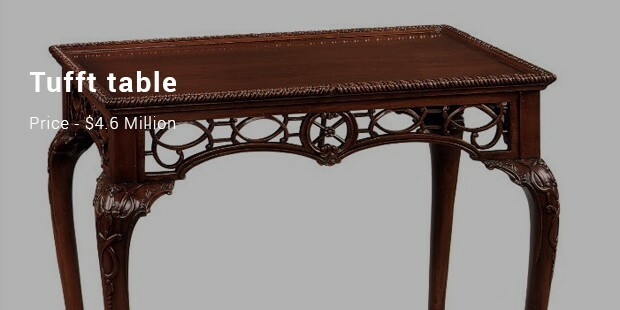 This vintage table has pierced fret work in addition to long legs and meticulous ball-and-claw feet. It features third on our list, priced at a monstrous $4.6 million! Yes, as one recollects it is a bed that floats in the air. The architecture took 6 years to incorporate the technology need for this bed. 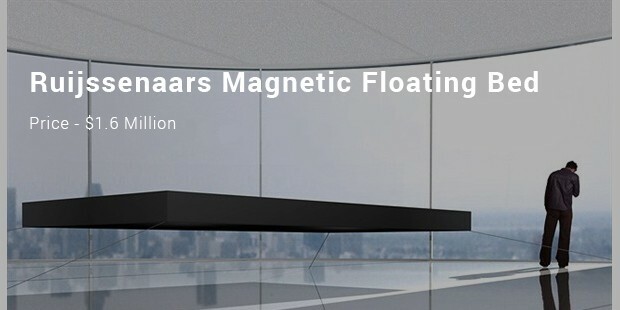 Opposing and permanent magnets of industrial strength are formed, and the bed is allowed to float 40 centimeters above the floor. One would find it very difficult to classify this furniture as a piece of jewellery or furniture. 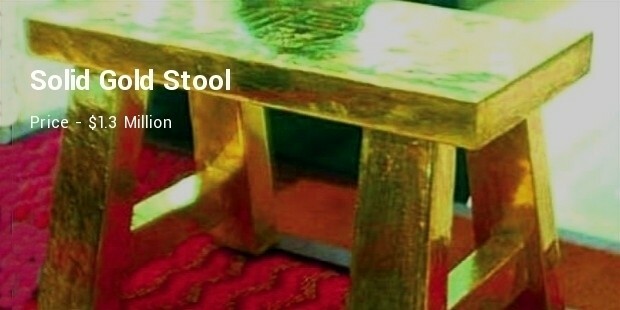 Though it may be made in China, the quality is top class as it is made of gold. 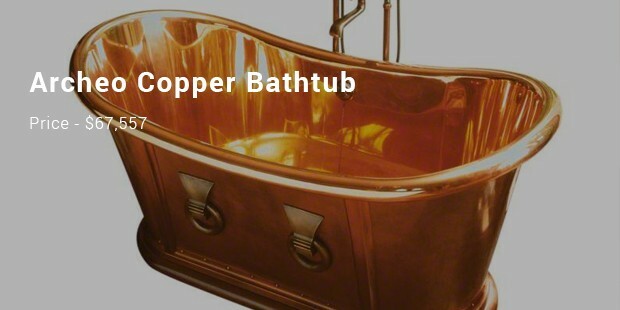 One would be surprised that it is made up of 110 pounds of solid gold. 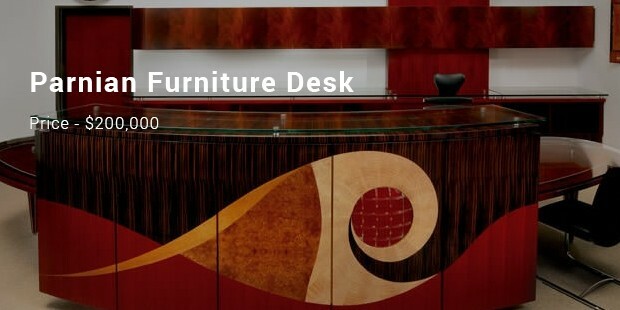 It is an automated company that is known to create customized desks. The desks are normally made of six types of exotic wood, and a customized top will be an icing on it. One will be surprised that Plume Blanche made 50 on this sofa. It is made of leather and features and has a glossy lacquer finish attached to it. 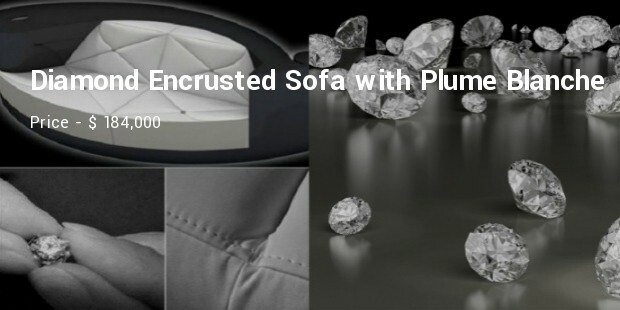 The sofa is shaped in the form of diamonds. 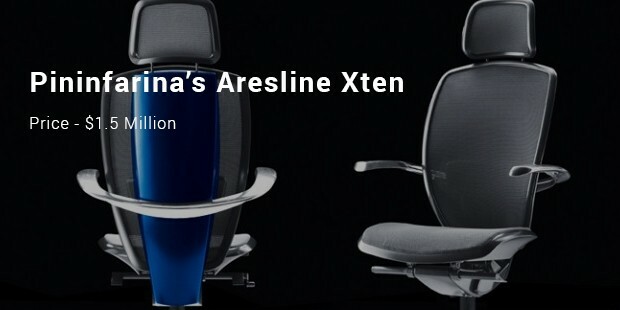 Have you ever imagined of spending millions on a side table or an armchair? Well, when you have enough to splurge, money becomes just a number and this list holds true to this fact! More you and I this is more of a treat to the eye but would definitely be anatrocious pocket squeeze! It is a mixture of horsehair, lamb’s wool, wax and silk that would make for a comfortable sleep. 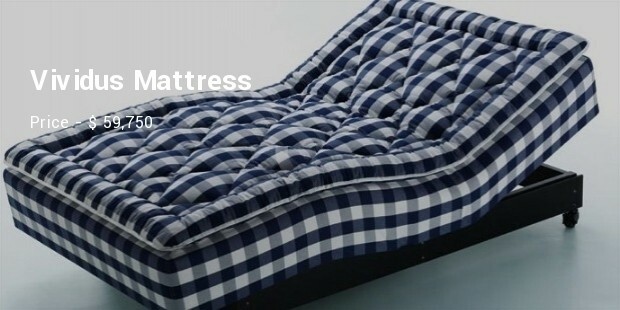 The bed was created by Hastens, a Swedish company and now imagine fitting this mattress into a floating bed. 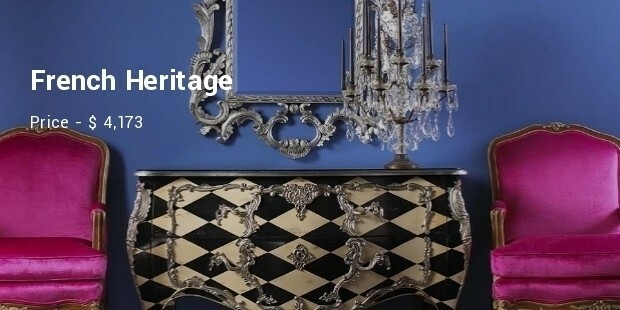 If you are looking for a vintage set up, then French Heritage will provide the luxurious furniture you need. The tables and chairs are crafted to perfection, to match the mood of your house. A feel of casual contemporary style is provided. He began designing fancy mirrors with which you can decorate your house, and he made his foray into the business in the year 1999. 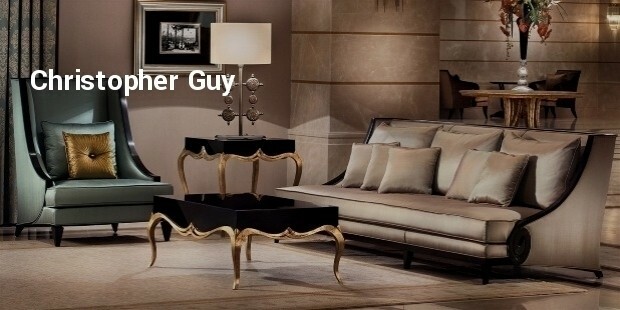 In the present day, he offers a wide variety of magnificent deals from gold worth sofas to headboards. It is an ionic collection with the feeling of a contemporary era attached to it. The beautiful crafts are exposed to the rest of the world by work in synchronization with the Club House in Italia.